The Schlage BE469 Z-Wave Touchscreen Camelot Deadbolt is designed to replace the existing door lock for a user's front door. It enrolls with a Z-Wave controller, and it includes various features to help keep the user's home protected. Secure your property with the Schlage BE469 Z-Wave lock. The Schlage BE469 is a Z-Wave deadbolt lock that features a touchscreen for easy on-site operation. It offers various features designed to keep intruders out and prevent them from tampering with the device. Custom settings allow the user to configure the lock to best suit their needs. As a lock, the biggest strength of the BE469 involves the features it offers to keep intruders out. A durable resistive touchscreen and its matte finish prevents fingerprints and smudges that an intruder might use to determine the passcode. The anti-pick shield protects against lock tampering, and the device is designed to be completely pick-proof. Another great feature is its built-in alarm technology which senses movement and alerts the user with audible alert if someone is trying to open the door. Users can select between three alerts - activity, tamper and forced entry - to customize their security needs. Up to 30 unique codes can be stored to give the user quick and easy access. The lock is Certified Commercial Grade 1, and it is very easy to install, with only a screwdriver being required. Since the Schlage BE469 uses Z-Wave technology, it can pair with a Z-Wave controller for easy operation. Many security panels offer local on-site control so that a user can lock or unlock their door right from their system. But an even better feature is the ability to integrate the lock with an interactive service platform, like Total Connect 2.0 or Alarm.com. A user can access one of these services from a web browser or mobile app and control their lock from virtually anywhere in the world. They can even use their Schlage Lock with various smart scenes to have the device activate automatically based on a schedule or with certain system events. For instance, a user might have their lock open at 3:30pm when their kids get home from school and lock automatically at 9:00pm for the night in case they forgot to lock earlier. 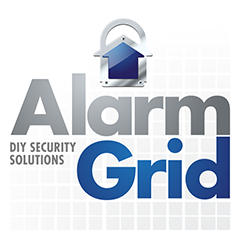 NOTE: Alarm Grid recommends the use of Yale Locks, Kwikset Lock or the August Smart Lock Pro over Schlage Locks! We have experienced some connectivity issues with Schlage Locks, and we find that they don't always work best with Honeywell Alarm Systems when paired as Z-Wave devices. For that reason, a user may be better off with a Yale or Kwikset Lock. A great Z-Wave lock to choose for this purpose would be the Yale YRD216, which will offer very similar functionality and more reliable performance overall.